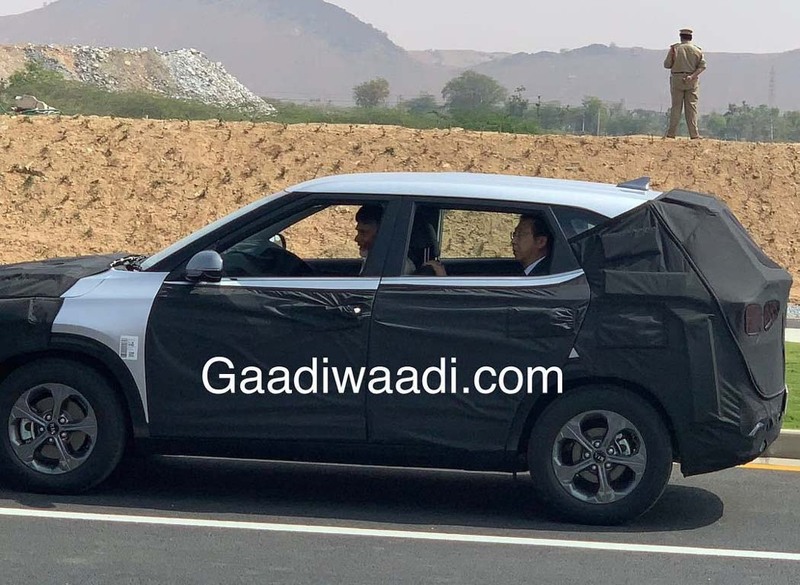 Kia Motors India has commenced trial production of its first product for the domestic market officially at its Anantapur facility in Andhra Pradesh. The manufacturing plant has an annual production capacity of up to three lakh units as Kia anticipates big volumes from the Indian customers in the long term and it could act as a production hub for global arena in the near future. 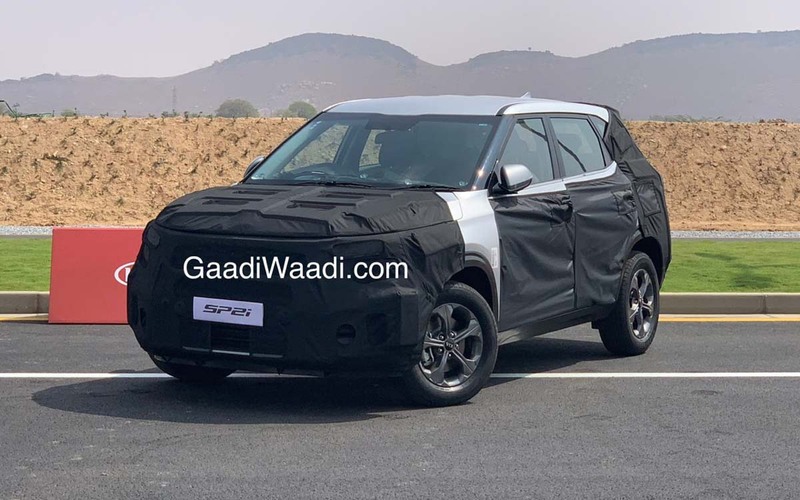 The South Korean automaker has not revealed the nomenclature of the upcoming SUV but the disguised production model has been shown to the media giving us an early glimpse of what is in store before it makes market debut in the middle part of this year. The production SP2i is a logical derivative of the SP Concept displayed at the 2018 Auto Expo around a year ago. Despite the heavy camouflage, we can say that it has borrowed several design cues from the concept. 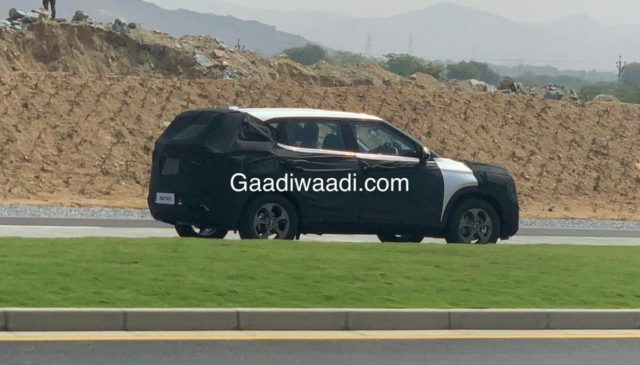 It will have the signature Tiger Nose grille up front, sweeping bonnet and a front bumper with probably round shaped fog lamps. The sleek LED Daytime Running Lights sit atop the conventional headlamps and the bonnet dips down into a cohesive curvy styling with the grille and bumper. The wing mirrors with integrated turn signals are less slimmer than the concept while it also has shark fin antenna which cannot be found in the concept. The side profile has 17-inch machine cut alloy wheels that are indeed a slightly modified version from the concept while disc brake can be seen in all four wheels. The production SP2i doesn’t have an aggressive roofline but it descends down to give a sporty look. Along with it, the tall pillars should ensure a roomy cabin for the occupants. Overall, the five-seater looks bigger than the Creta but not as much as the Harrier. In a similar fashion to the Nissan Kicks, it could have wheelbase slightly below 2.7 metres. Expect a compact rear end with horizontal LED tail lamps, chrome appliqué with Kia badge grafted on it, high mounted stop lamps and a rear bumper with skid plates. The Kia SP2i will be powered by all-new 1.5-litre petrol and diesel engines with manual and automatic transmission choices. The powertrains will be BSVI ready upon arrival. Kia has also confirmed that the series production of SP2i will begin later this year and it will likely be priced between Rs. 9.99 lakh and Rs. 16 lakh (ex-showroom). We can expect several segment-first features like fully digital instrument cluster as Kia pursues “cutting edge in-car technology” with the SP2i. Kia’s Anantapur facility spans 536 acres and it has been constructed in a record just over a year and it provides direct and indirect employment to 10,000 people. Kia has intentions to be among the top five leading car brands in India as early as 2021 and thus will be introducing one new model every six months. 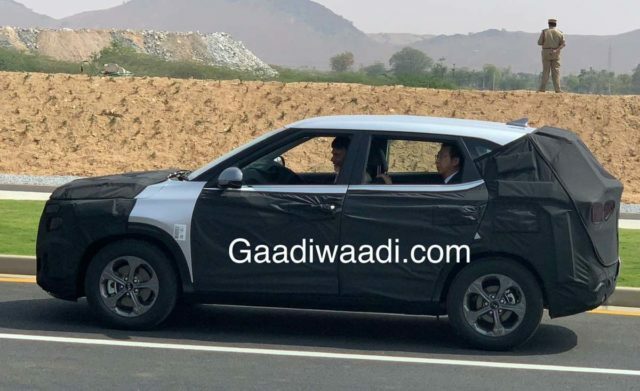 Kia has also presented the electric version of Soul to Andhra Pradesh government and is committed to support in developing local EV charging infrastructure. The brand along with vendor partners have invested USD two billion in domestic operations and is aiming for a sustained future.